Male Voice-Over Talents – The Voice-Over Guys! Why MVO: - Male Voice-Over Talents - The Voice-Over Guys! There is a lot of junk on the web as it relates to voice-over talent sites. It often takes producers and their teams too many hours to sort through the amateur crap (can you say “crap” on the internet?) to get to some really amazing voice talents who offer vocal variety, professionalism and a proven track record of regularly having voiced for some of the world’s biggest brands. 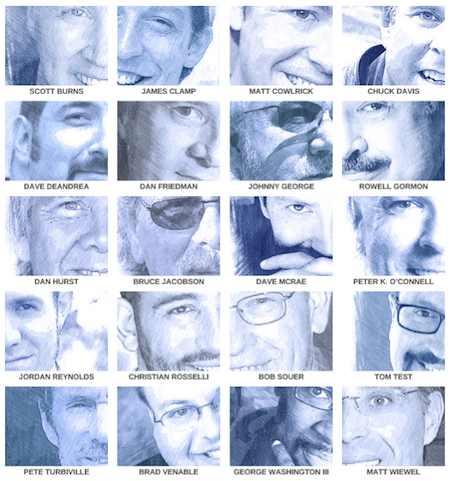 So the proven male voice talents on MVO: The Voice-Over Guys’ exclusive, professional VO roster immediately addresses those needs. Just look at the MVO: profiles and listen to the MVO: demos. Big brands demand only the best voices. Each male voice talent on this site has an established track record in the voice-over business working for national and international voice-over clients such as Wal-Mart, Ford, Google, Kraft Foods, the U.S. Army, BMW, Best Buy, McDonalds, CNN, Deloitte, IBM, Federal Express, Cleveland Browns, Sprint, CNBC, Telemundo, Planet Fitness, Time Warner Cable, Diet Mountain Dew, Heinz Ketchup, Kodak, PBS, San Francisco Giants and Nokia. The voice talent on MVO: The Voice-Over Guys are heard world-wide (literally) almost everyday on thousands of television and radio commercials, corporate narrations, explainer videos, medical narrations, web videos, political commercials, cartoons, videos games, audiobooks and when listening to message on-hold. But with other on-line sites, even when you find the voice talent you want, getting through the hiring, producing and paying process can be another headache for media producers. With MVO: The Voice-Over Guys we make the voice-over production management process simple. Producers work directly with the chosen MVO Voice Talent and avoid extra fees found on some sites. Here you get the MVO Voice Talent’s demos, voice-over credits, contact information – everything you need to make your voice-over decision effortlessly and efficiently, allowing you to get your production started. 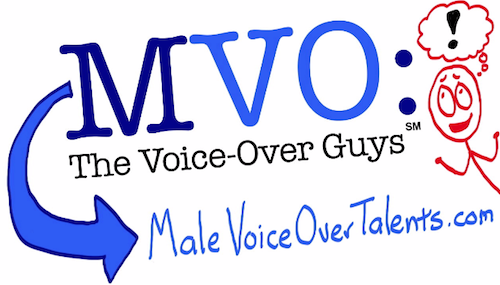 The name “MVO:” comes from the abbreviation on voice-over scripts for Male Voice-Over. On a voice-over script, the abbreviation appears as “MVO:” . What MVO: means for media producers is a simple solution for any male voice-over production.